For 65 percent of the world’s population, the answer to the advertising jingle, “Got milk?” would be a resounding yes. The milk in question, however, is not from cows. In the United States, milk and products made from milk, notably cheese, have long been the sole domain of dairy cows. That’s changing now as consumer demand for goat milk and artisan cheese made from goat milk is on the rise. According to the U.S. Department of Agriculture, there are now about 30,000 dairy goat farms spread across all 50 states, an impressive number considering that goat cheese wasn’t commercially produced in the U.S. until 1980. Understanding the challenges and rewards of the small ruminant dairy industry will be the topic of Goat and Sheep Dairy Enterprise Exploration: Getting the Most Out of Your Milk, an upcoming workshop sponsored by Amazing Grazing, a collaboration of the Kansas Farmers Union and the Kansas Graziers Association. 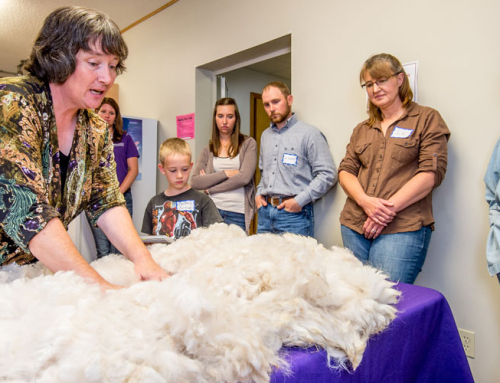 On Saturday, Jan. 17, Charuth Van Beuzekom-Loth, co-owner of Dutch Girl Creamery in Lincoln, Neb., will share her extensive knowledge and experience in goat dairying, cheese production and marketing. The workshop will be held at in Lawrence. Van Beuzekom-Loth recently completed the construction of an on-farm Grade A goat dairy facility, one of only five in the state of Nebraska, and was previously a co-owner of Farmstead First, LLC, a cooperatively-owned cheese processing facility in Raymond, Neb. With her husband, Kevin Loth, she manages Shadow Brook Farm, a 34-acre organic vegetable and flower farm. Fortunately, local, regional and national chefs have discovered the health benefits and unique taste of goat cheese, and now liberally use it in everything from salads to pizzas. Consumers who are allergic to cow dairy products are are switching to goat milk and dairy products because it’s easier to digest. Recently van Beuzekom-Loth learned that during the 1970s St. Elizabeth Hospital in Lincoln supplied goat milk to preemies, or premature infants, because of its digestibility. Artisan cheese is one of the fastest growing specialty markets in the country. Cheese-making is a science as much as it is an art, and Americans are beginning to beat the Europeans at their own game. Though most goat dairies are tiny compared to cow dairies, USDA regulations are largely the same, she said. That difference in scale means that goat producers have to work smarter as well as harder than their bigger contemporaries. Goats aren’t the only game in town. Sheep’s milk cheeses and yogurt are also gaining in popularity with consumers. The number of sheep dairies is on the rise, especially in Missouri. When Jacqueline Smith and her business partner Sarah Hoffmann first began Green Dirt Farm there were only two other Grade A sheep dairies in the state. Smith says there are many reasons why the sheep dairy industry lags behind that of goats. The market for sheep’s milk products is even younger than that of goat’s and the genetic pool for dairy sheep is comparatively small. The primary factor, however, is that goats typically produce ten times more milk than sheep. Green Dirt Farm launched a new business in 2011 to expand sheep’s milk production in the region. “Only Ewe is a deliberate undertaking to promote collaboration between us, at Green Dirt Farm, and small family sheep dairies in neighboring communities. There are so few sheep dairies in the United States that many of the small, family farms rely on confinement-cow-dairying as their primary income. Many of these small dairies struggle to compete with larger industrial-sized dairies and, sadly, many are going out of business. Only Ewe hopes that we can create an opportunity for these families to improve their income stream as well as their farm yields,” said Smith. Green Dirt Farm, located in Weston, MO, produces aged washed rind and bloomy rind cheeses from its herd of 500 sheep. The cheeses have won awards at American Cheese Society competitions in 2009, 2010 and 2012. At the January workshop, Van Beuzekom-Loth and Smith will be joined by Tana McCarter, owner of Dorema Farm, Altoona, Kan., who will discuss goat milk products such as soaps and lotions, and a representative from the Kansas Department of Agriculture, who will offer information on goat production within the state. A producer-buyer panel will provide insight on marketing, sales and relationship building. 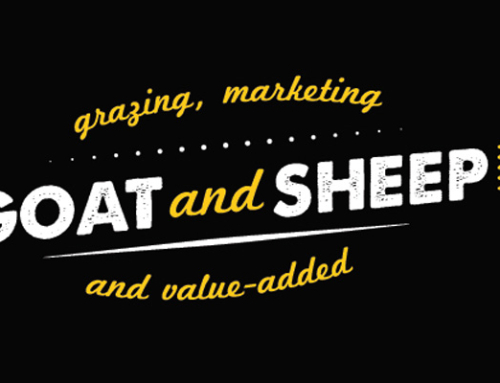 Registration for the Goat and Sheep Dairy Enterprise Exploration: Getting the Most Out of Your Milk is $43 – $33 before January 10. The workshop will run from 10:00 am to 4:15 pm in the Blue Room of Pachamamas in Lawrence, KS. 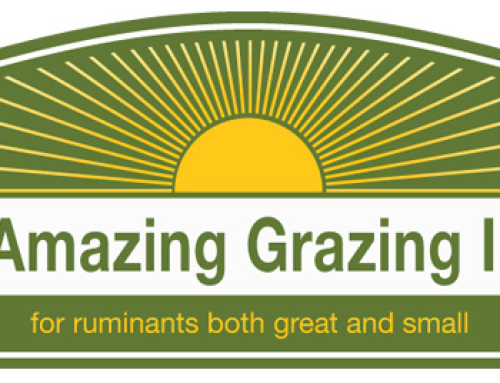 Amazing Grazing is a collaboration of the Kansas Farmers Union and the Kansas Graziers Association with funding from the North Central Extension Risk Management Education Center and the USDA National Institute of Food and Agriculture. Project partners include: KSRE, Kansas Grazing Lands Coalition, Frontier Farm Credit, NRCS-Kansas, and Kansas Center for Sustainable Ag and Alternative Crops.